On Thursday, October 25th, join Valley Public Radio for a night of great food and great company. We will be taking over Café 225 in Downtown Visalia. The event takes place at Café 225 from 5pm till 9pm, so we invite you to come and dine with FM89 staff, listeners, and other supporters of the station. Tickets are $50 per person and include a delicious full course dinner with your choice of entrée and dessert. Tax and tip are included in the price of the ticket and half the proceeds go directly to support Valley Public Radio. Make it a great night out by inviting friends to join you at this fun event. 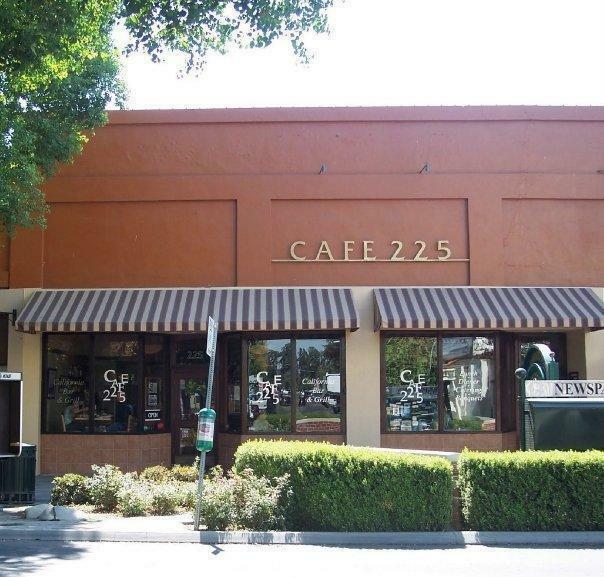 Location: Café 225, on Main Street in Downtown Visalia across from the Fox Theatre. · Butternut Squash Raviolis with sautéed mushrooms, spinach, pinenuts in a lite sage cream sauce.